Ok, so let’s plan for the coming boom. What boom, you say? Well, things can’t stay down forever. Life is a cycle. There’s up and there’s down. Yes, there’s a lot that needs to be fixed. However, the CNMI is not simply going to close its doors, shut its airport and simply close itself down. There will be an “up” period at some point in the future. And if there is to be such an up period, it must be envisioned and planned for now by business people with the right concepts, courage and commitment. So, with that in mind, let’s take a look at a few things that are and will be needed as things rebound as they always do. First, however, let’s consider this: There’s a saying that “you can’t solve your challenges using the same level of thinking that created them in the first place.” In other words, there needs to be a new paradigm in place in order to extricate yourself from your current condition. It is specifically because current conditions seem so dire, with no way out, that something radically new is being opportuned. I believe that the current conditions are exceptionally ripe for new ways of thinking. The goal of this new paradigm must be to make the nation, its economy, and its people less dependent on the current model of doing things—in other words, the same level of thinking that got us here. Whether it’s using wind farms and solar panels for energy, promoting a more natural lifestyle for better health, adopting sustainable farming practices for sustenance, using non-resource-depleting business models, there are concepts that are just waiting to be utilized to help rebrand, rebuild and rejuvenate. Things must change. In fact, there are those who will argue that much of what we’ve come to expect as “normal” in this world of ours is actually based on and built around entirely faulty, ill-conceived, poorly-thought-out premises that will inevitably fail. For example, the basic capitalist business model is based on infinite growth. Corporations are chartered to seek profit first in the financial interest of their shareholders. But you cannot have infinite growth based on finite resources. At some point, something has to give. We are seeing the effects of this “give” as oil reserves wane, prices escalate and businesses go bankrupt. It’s my opinion that if we simply rebuild what existed before, without incorporating new paradigms, we will find ourselves at another crossroads as prices continue to escalate and resources become more depleted. Lest you think I’m unaware, yes, in the immediate short term, we need to work on some of the basics of infrastructure [infrastructure: basic services necessary for development to take place like water, power, roads electricity, sewerage, education, health facilities highways, bridges, oil and gas pipelines and more.] Many business opportunities exist in helping the team of city planners, zoners, government officials, developers, investors and the community at large revamp Saipan’s infrastructure. This is perhaps one of the most pressing needs with its own set of unique opportunities for the entrepreneur and investor. Todays’ column, however, will focus more on a few concepts in the abstract to guide the direction of your business brainstorming. We’ll get more practical and specific in future columns in this series. First and foremost, what’s needed are business leaders who have the courage to envision a new way of doing business that does not exploit; one that does not enrich at the expense of another’s freedom or happiness. We need people who can envision a Saipan beyond what it has been in the past; people who are possibility thinkers, who are not bounded by “limiting absolutes.” People who say “Saipan has NO resources,” or that the “CNMI will ALWAYS rely solely on tourism” or some other pronouncement of what will “never” or “always” be, is not a possibility thinker. Their thinking has been limited by what they perceive to be an absolute, unchangeable condition. So, speaking of that, we need ideas for businesses that embrace the possibility that Saipan, Tinian and Rota, in addition perhaps to being tourist destinations, might also have other major or minor industries lying dormant. Those who read my column know I’m an advocate of the idea that we need businesses exporting aspects and symbols of paradise, and using our natural resources to generate income in the form natural products, food, clothing herbs, medicine, energy, etc. Now this is a hot topic, but think how your life would be different if you were living a paradigm that had you less susceptible to illness, more in control of your health and less fearful of the major expenses associated with health care. Based on what we’ve been led to believe, it may seem radical that people can avoid illness and cure themselves outside of the establishment that is currently in place. We need ideas and businesses that support a new awareness of what real food is, what real health is, what illness is, and how to treat it naturally, without great expense, addiction and side effects. We are products and victims an educational system that does not encourage entrepreneurship, experimentation and the full expansion of a child’s limitless potential. We are indoctrinated to be pawns in a system that perpetuates the imbalances and inequities that exist in our society, and which makes others wealthy at our expense and with our labor. We are trained to be good employees. We need ideas and businesses (schools, training) that help children find their purpose, discover their passion, create products and services and market them for profit as well as the good of society. It may be a challenge to wean people from the consumerism and tastes to which they’ve grown accustomed through media advertising, but we need to be less susceptible to the disempowering attack of outside influences. On a practical level, we can start talking about specific products. The automobile is perhaps the best symbol of the modern times. However, the gas-powered car is based on an archaic engine model that is not efficient. Inventors in many countries are moving towards solar, water, hydrogen even algae, and combinations of them all to generate the power to fuel cars. Businesses and products and services that make use of “green” technology and concepts should be embraced. Steve Tilley at the Zoning Board recently told me about roof foam insulation that can do an amazing job of cooling the home, thus reducing the need for extended periods of air conditioning and thus lowering power bills. Now that’s a good business idea! A local businessman asked me, “Why do we need to import eggs, when we have chickens here?” Sure, there are subsidies that make ordering products from the mainland cheaper. And, yes, it is a complicated issue. But, perhaps in the long term, we can create an environment (i.e. tax certain items that are currently being imported) to encourage stores to purchase from local suppliers. In this globalized, technological age, it is absolutely necessary to develop business models that take advantage of the global economy and not limit yourself to a local customer base alone. A website which allows a worldwide reach, along with a focus on offering products and services which can be efficiently shipped or delivered electronically is a business model we need. 10. An attitude of unity and cooperation among the various groups, foreign and domestic, who do business here. 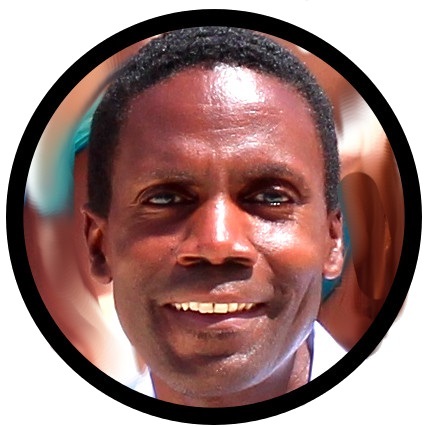 There are cultures, languages and customs that deserve room and opportunity to flourish in their uniqueness while, at the same time, allowing all others to do the same. Opportunity is not biased. 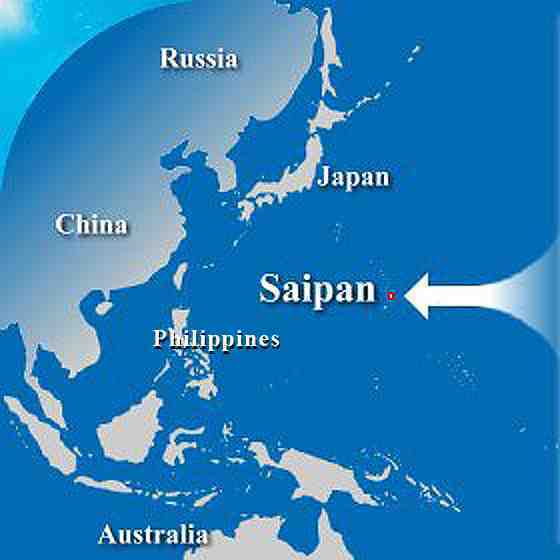 Prosperity is not selective, and Saipan’s coming boom will require the cooperation of all who live here. What makes Saipan a great place to live, work and do business is the multiplicity of cultures that exist and co-mingle here, but there is still often exclusion of some in favor of others. We need business owners, business practices, signs, advertising, outreach and inclusion that acknowledges that no culture, language and custom is superior to another. We need businesses that really embrace that idea. So, as you think about what is needed to stimulate the economy, provide jobs, encourage visitors, attract residents, rebrand the nation, enhance the destination, and put us on a trend toward prosperity, incorporate these concepts into your thinking.